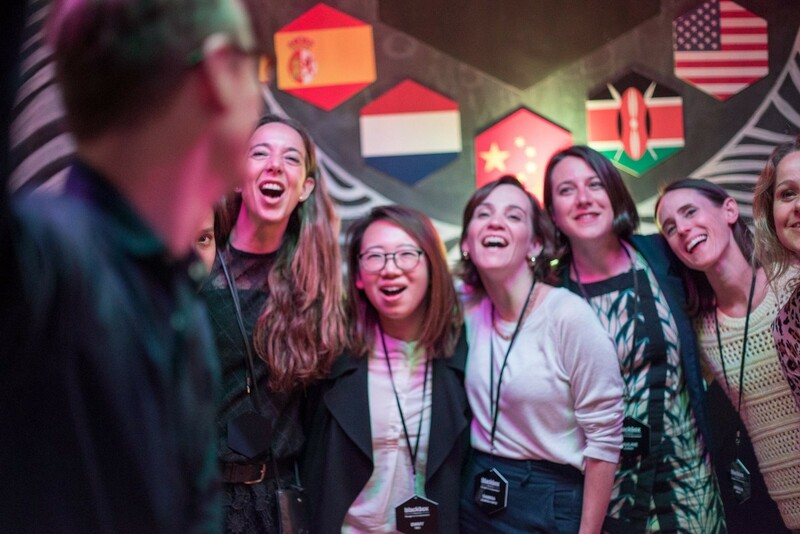 This May 21st to June 1st, a hand-picked cohort of 15 rising entrepreneurs will head to Silicon Valley from across the globe to participate in Blackbox Connect: Female Founders Edition. The program consists of a two-week immersive residential experience in San Francisco, offering the opportunity for founders to live and learn together while connecting with top Silicon Valley entrepreneurs, investors, thought leaders, and executives in an intimate, open, and collaborative environment. This marks the 22nd program cycle of Blackbox Connect since its inception in 2011, and the fourth annual Female Founders Edition. Participating founders — typically the CEOs of their companies and referred to affectionately as “Blackboxers” — step outside the day-to-day grind of running their companies and reexamine their intention from growth strategy to product design to team culture from a fresh and global perspective. “For many of the founders who take part in the program, this may not be their first or last startup. Blackbox equips them with the skills to be the best entrepreneurs they can be and create change in their current and future organizations. They help build leaders and trailblazers who take the skills they’ve learned back to their home countries,” says Ciara Clancy, Founder & CEO of Dublin-based Beats Medical, an app which gives people with Parkinson’s greater independence and control of their condition. Clancy is a Blackbox Alumni Ambassador and participated in the first Female Founders Edition of the program in 2015. After two weeks of speaker sessions, interactive workshops, founder-to-founder learning, pitch coaching, and 1:1 mentoring, the program concludes with the Blackbox Global Startup Salon, a twist on the traditional Demo Day, in which Blackboxers present their company to a curated audience of investors and Silicon Valley tech leaders and receive meaningful feedback, guidance, and support. Interested parties can learn more and apply to attend the event here. This cycle’s 15 selected founders hail from Argentina, Australia, Brazil, Canada, Germany, Indonesia, Ireland, Kenya, the Netherlands, Portugal, Singapore, Spain, and the United States, and represent a wide variety of sectors, including (but not limited to) healthtech, last-mile logistics, AR/VR, on-demand marketplaces, blockchain, and more. 12 of the selected founders are recipients of the Google for Entrepreneurs Scholarship, which provides all-expenses-paid participation in Blackbox Connect for founders nominated by members of the Google for Entrepreneurs partner network. Since 2011, Blackbox has helped elevate more than 400 founders from 60+ countries to reach their full potential. Within 3–9 months of Blackbox Connect, over 60% of startups have gone on to raise funding and more than 90% continue to grow their businesses. There have been 10 exits to fuel the growth of global startup ecosystems. RatedPower offers pvDesign, a cloud-based software to carry out the design and engineering of utility-scale solar photovoltaic plants. The software offers a faster, more automated, accurate, and reliable method than traditional engineering, improving the profitability of users assets. THEYA Healthcare helps restore self-esteem and femininity for women who have undergone surgery through innovative post-operative lingerie made from anti-bacterial bamboo material, scientifically proven to soothe and speed up healing. Katalysis is on a mission to democrate the value of online content with blockchain technology. They believe in a shared, transparent, and distributed ecosystem where there is fair distribution of value to all content creators and contributors. GorillaSpace is an online platform that helps businesses find workspace at every stage of their business growth. They are the first platform to cover all property types from short-term flexible space to traditional long term office space. They make it possible for businesses to find office space faster and make the best real estate decisions. BuuPass aims to provide seamless movement for people. They work with operators to provide digital transport solutions to facilitate convenient movement for commuters. BuuPass is Kenya’s first marketplace for bus, shuttle, and train bookings; it’s the fastest, easiest way to book. Flex is a marketplace where people can search, discover, and buy days at gyms and fitness studios from members who aren’t using them. Gym members earn money selling days they aren’t using their memberships, providing gym seekers with affordable daily access locally and when traveling. Gyms and studios earn a share of members’ sales, using Flex as a business tool to generate revenue on excess capacity, convert new members, and retain more loyal members. Five to Nine provides culture solutions to increase workplace connectivity and inclusion. Their social wellness platform connects co-workers and communities over relationship-building experiences while leveraging employee experience data to drive business outcomes. Furnishr is the most turn-key furnishing solution that handles the entire process of furniture curation, eCommerce, and consolidated in-home setup. Customers just need to purchase a furnished room design by completing a quick style profile, and all the furniture included in the design will be delivered and assembled in their own home in one day. Reblood encourages young people to build a healthy lifestyle by making blood donation a habit. To accomplish this, Reblood uses a digital platform (mobile and web) to reach a new generation of blood donors. VideoDoc is moving the needle on employee healthcare. Because good health is good business, they enable companies to place the wellbeing of their employees at the heart of their business. videoDoc is the 21st century doctor house call, offering on-demand healthcare delivered through technology, and always with a human touch. Enviopack provides a unified logistics platform for retailers that makes online selling simple, reduces costs, and provides powerful analytics to measure business performance. M-Time gives busy parents their time back by connecting them with Moncierges, personal assistants who combine nannying, cleaning, and housekeeping tasks into one role. Vittude makes getting help with stress, anxiety, depression, and other mental health issues easy by providing a private and secure chat room for you to talk with your therapist. Patients can block off only the necessary time for their appointment — no waiting rooms, traveling to an office, or leaving work. With Vittude, users can search by their location, then refine by whatever factors are important to them, including price, specialty, and treatment orientation. ObjectBox is a company that helps app and IoT developers develop apps faster by ensuring data is where it’s needed, when it’s needed. The core of this solution is the embedded on-device ObjectBox database. ObjectBox db is 10 times faster than the industry leader and takes only one tenth of the code to implement. On top of the database, the team is building a data synchronization solution. MyDidimo focuses on humanizing technology and reducing digital isolation. They automate 3D character creation — a once expensive and time consuming task — in 30 seconds or less. The product — a Didimo — is a lifelike 3D character that looks, acts, and speaks like a person. The Didimo will help to connect users closely to the digital world and drive a new paradigm for communication, through the image we know the most — our own face. To learn more about Blackbox, visit http://blackbox.org. Follow us @blackboxvc and facebook.com/blackbox.vc and join the conversation with #BBConnect. For press inquiries or other special requests, contact media@blackbox.vc.